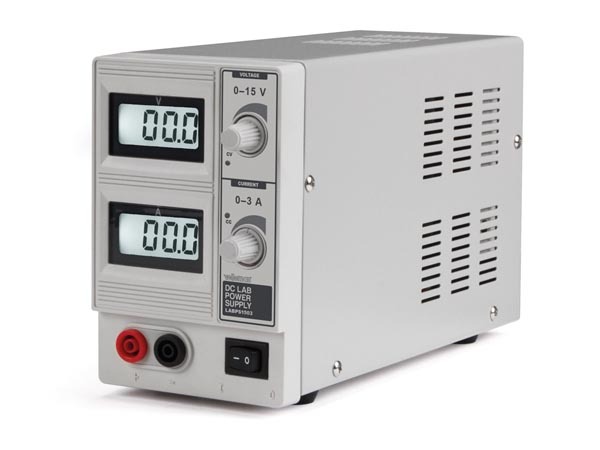 Velleman LABPS1503 is a compact 3A regulated power supply with variable output voltage and current limit. Indication of Voltage and Current is displayed on two backlit LCD meters. Full short circuit protection, metal case with on/off switch.